The all-new 2018 Chevrolet Equinox has recovered from its prior identity crisis. Reduced in size, weight and power, the Equinox now fits snugly in the compact SUV category. The earlier Equinox existed in a state of automotive limbo, hovering between the planes of compact and mid-sized SUVs. It was severely under-powered next to midsize SUVs like the Toyota Highlander, while also lacking compact SUV perks. Now the 2018 Chevrolet Equinox has found a promising balance while meeting the design, safety and technology needs compact SUV customers are looking for. It’s clear that the new exterior design features on the Equinox were influenced by other cars in the Chevrolet lineup. The shape and design highlights are in keeping with redesigns to the Bolt, Cruze and especially the Malibu. On the front, there’s a restyled “grinning” grille that seamlessly runs into widened headlights. The projector-beam headlamps are standard, as are the LED daytime running lamps. Down the side, a few relaxed seams and creases help mask the Equinox’s heft. But then, the vehicle’s actual physical presence helps with that. The 2018 Chevrolet Equinox is 400 pounds lighter and it’s 5 inches shorter. Moving on to the back, horizontal taillights help emphasize the Equinox’s wider stance. Some of the higher trims boast LED tail lamps. Overall, the sleeker shape is something the 2018 Chevrolet Equinox wears well. As with the outside, the interior received a deliberately executed facelift. The touches are nice, but nobody would mistakenly think they weren’t in a high-volume automobile. Anybody who has driven or ridden shotgun in a recent Malibu or Cruze will recognize the Equinox’s interior stylings. An attractive mix of leather and soft-touch plastic is integrated in the top trims, and a denim-style seat fabric is also available, if you need some added durability. Front and center is the raised MyLink infotainment center, which is compatible with Apple CarPlay and Android Auto. Depending on the trim, the screen is 7 or 8 inches diagonally. Interestingly, even though the Equinox has shrunk, the new dimensions don’t make the interior feel more cramped. In fact, the designers actually figured out how to make the vehicle shorter, but the interior has ballooned 3.5 cubic feet. With the “kneeling” rear seat lowered, a flat rear load floor offers more than 63 cubic feet of cargo space. Gone is the V6 engine that was available in the prior Equinox. Three turbocharged four-cylinder engines power the new 2018 Chevy Equinox. The base engine is a 1.5-liter capable of 170 hp and 203 lb-ft of torque. 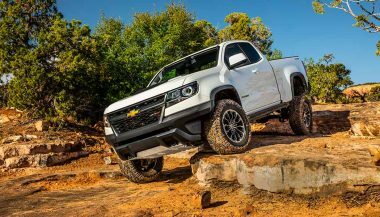 The sporty 2.0-liter turbo, which is mated with GM’s new nine-speed automatic transmission, cranks out 252 hp and 260 lb-ft of torque. The base engine has an estimated 31 mpg on the highway, while the 2.0-liter should get about 28 mpg on the highway. The third option is a 1.6-liter turbo-diesel which is capable of 136 hp and 236 lb-ft of torque. 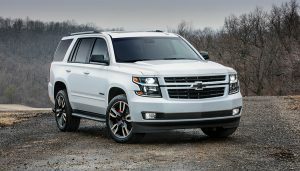 Chevy claims this is the first SUV in this segment to offer a turbo-diesel in North America. It has an estimated 40 mpg on the highway. 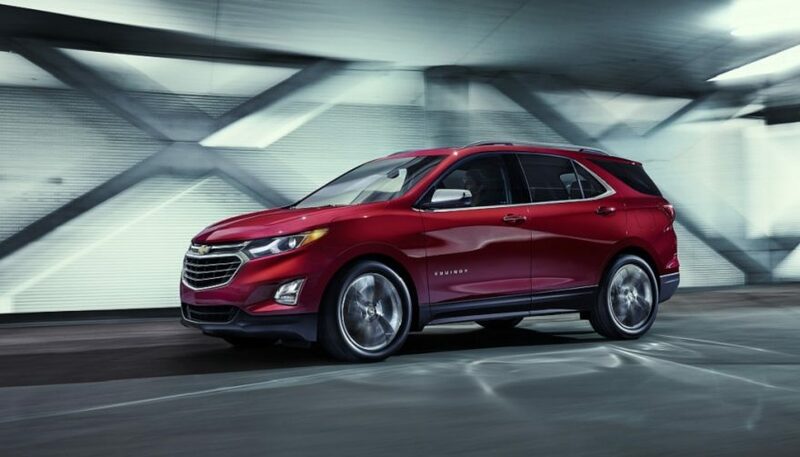 Much like its competitors in the market segment, Chevy touts the safety features on the all-new Equinox. And rightly so. And, if you think you might be letting one of your fledgling drivers borrow the car on weekend nights, the Equinox has the Teen Driver feature. The safety feature allows parents to set controls and review an in-vehicle report. However, if you’re interested in all of the available safety features, you’re going to have to pay for it. And pay quite a bit. 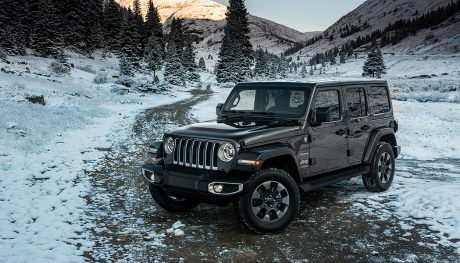 While the base, front-wheel-drive L trim does clock in under the $25,000, you’re going to miss out on the heralded safety features. 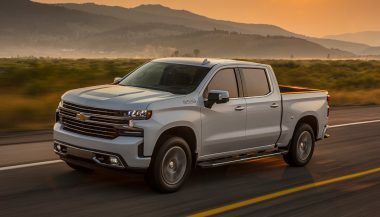 If you want to get in on the active-safety features action – not to mention many of the other bells and whistles you want in a new car – you’re going to start looking at spending closer to $30,000 for the LT model. That’s a big cost discrepancy in trims. Is that worth it for a new car, well, that’s going to have to be your decision. While the 2018 Chevrolet Equinox has impressive new exterior stylings, it doesn’t differentiate itself from the competitors like the Hyundai Santa Fe does. And, in terms of the roomier interior, the all-new Equinox is still bested by other vehicles like the Honda CR-V. 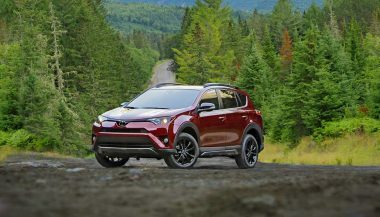 The Toyota RAV4 gets an all-new Adventure trim for the coming model year, which adds some outdoors abilities to one of the best selling SUVs.